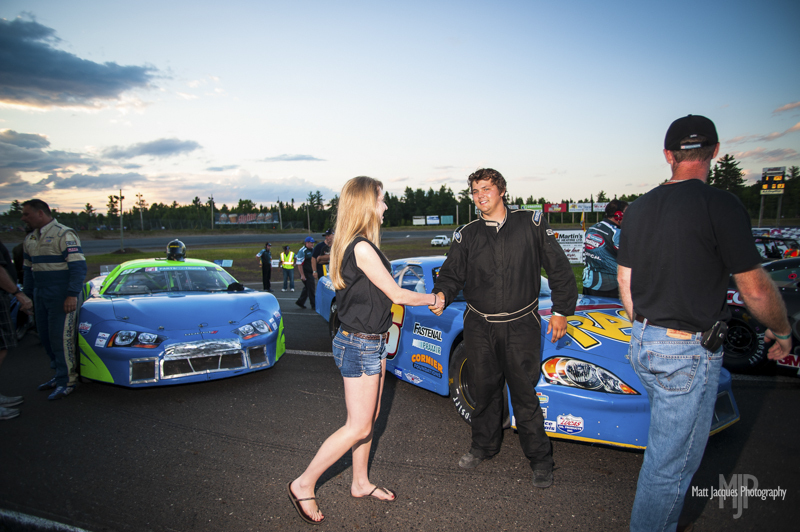 Atlantic Canada lost one of its brightest, up and coming racing talents on March 14th, 2014 with the sudden passing of Jordan Gahan in an industrial accident in Fire Bag, Alberta. While Gahan spent his recent winters out West, he and his father Paul along with the rest of their crew, including brothers Josh Paul, Jon Gahan and Joel Paul, spent their Summer Saturday nights at Speedway 660 in the Geary woods, where Jordan began his racing career in 2010 by winning the Rookie of the Year in the Pro Stock class. In four seasons, Jordan racked up many heat and dash wins along with a podium feature finish in late 2012. He also competed on the Parts for Trucks Pro Stock Tour when the touring series visited Speedway 660. Jordan was also a graduate of the Race101 program, going through the popular North Carolina program in 2012. Photos by Matt Jacques Photography.